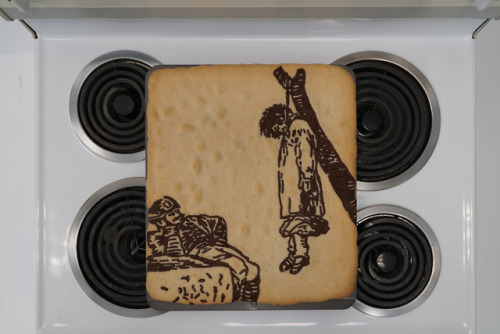 In his latest series “Cookies of War,” artist Phil Hansen recreates Goya’s Disasters of War etchings as a sugar cookie. 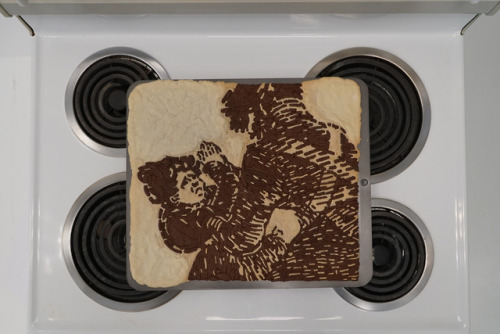 Using sugar cookie dough as one color, then adding cocoa to make another, these pieces slowly came together with just these simple ingredients. After studying Goya’s etchings, Hansen drew small sections of selected etchings. 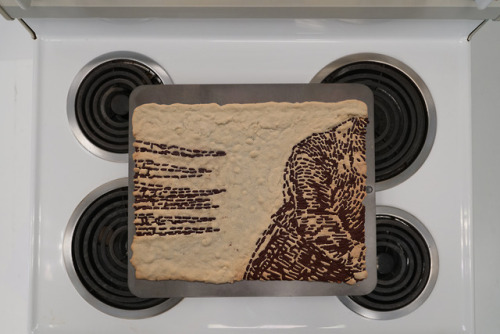 Bits of cookie dough were delicately placed onto a baking sheet; slowly the pictures came together. 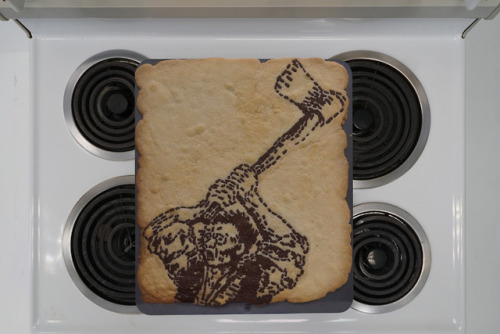 After baking each creation, it became clear that these aren’t your Starbucks Halloween sugar cookies. Hansen has been long fascinated by Goya’s depictions of war for their brutal honesty which conflicts with our society’s view of war that mostly emphasizes patriotism and heroism. The “war” that we know often highlights moments of beauty and humanity, concealing the grotesque actuality.